We often get the question: what exactly is plaguing the Potomac? Polluted runoff remains the only growing source of pollution to the Potomac, but other things are threatening the river and our local streams. And some of the threats are downright monstrous. Bear with us, this is about to get a little strange. There are unknown chemicals in the Potomac that are causing hermaphroditic fish — male fish with female eggs. And this isn’t just happening to a few fish here and there. It's happening in rivers up and down the East Coast. This “intersex” fish phenomenon is likely caused by endocrine disrupting compounds (EDCs) found in our local waterways. EDCs can find their way into the Potomac through polluted runoff and the wastewater treatment process. These contaminants, found in everyday products such as medicines, cosmetics, and in agricultural chemicals, interfere with normal biological processes by disrupting the hormonal (endocrine) systems that control growth, reproduction, and development in all vertebrate species, including fish and humans. The impact on human health is largely unknown. Many of these chemicals are not removed from drinking water by standard water treatment methods. Solution: Scientists are studying intersex fish, and, while the exact cause is up for debate, there are a few actions you can take now to help: keep plastics and trash out of our waterways by volunteering for cleanups; advocate for enhancements to wastewater treatment facilities; reduce the use of pesticides and herbicides; and install nature-based filtration solutions that capture and filter pollution before it gets to the river. What lurks below the surface in the potomac? Snakeheads like this one. Invasive plants and animals, many of which were introduced to our area from elsewhere — other states, countries, or continents — are species that harm the local environment. Invasive plants, like English Ivy, can choke out and kill native trees, which are important in filtering polluted water and stabilizing riverbanks. Invasive plants also destroy native habitat and harm local wildlife. With dwindling funds and a lack of resources, many National Park sites in our area are being overrun by these plants. The Potomac River is also threatened by invasive fish, including the snakehead and blue catfish. If you’re looking for a frightening Halloween costume, look no further. Snakeheads have sharp teeth and can survive on land and in extreme temperatures (-22 F to 104 F), giving them a leg up as our weather becomes more volatile. Talk about scary. Many local biologists argue blue catfish are the bigger threat to the Potomac. They are top predators, can weigh over 100 pounds, and are expanding rapidly throughout the region. Though they make a tasty dinner, local officials recommend limiting your consumption because blue catfish meat contains toxins like mercury. Solutions: More investments are needed to study and combat invasive species. 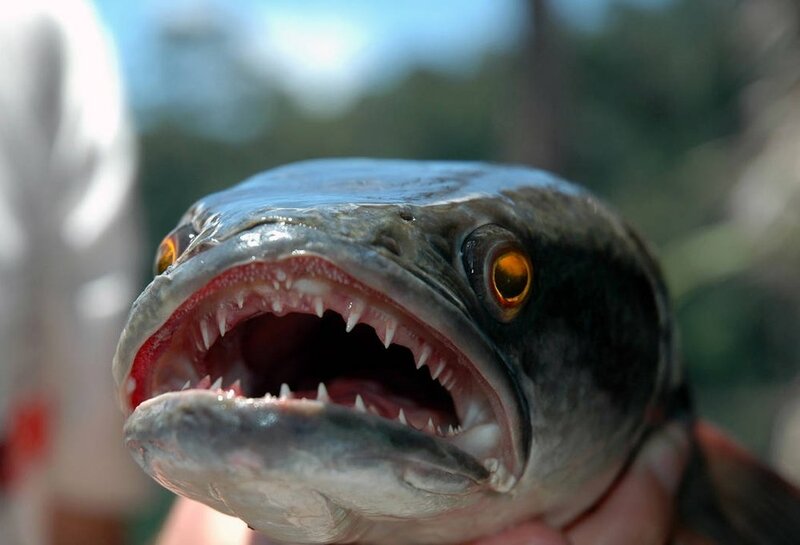 The public is encouraged to catch and kill snakeheads and blue catfish, and regulations make it illegal to transport these species across state lines. If you’re interested in working to eliminate invasive plants, consider becoming a certified weed warrior. Flooding along the georgetown waterfront in april 2011. There are few threats scarier in today’s world than climate change. Increasing temperatures and changing precipitation patterns are expected to cause more extreme droughts and floods. A severe drought in the Potomac could impact the area’s water supply, threatening the drinking water of 5 million local residents. Heavy rainstorms also cause runoff and sediment pollution, both in the Potomac and in local streams. Some local communities are already flooding more often and faster than they have in the past. More extreme weather will also make it difficult for vulnerable, native species to compete with hardy invasives. In the long term, rising sea levels could have a drastic impact on the District. As water levels are rising, the land is also sinking, making the effects even more severe in our area. Solution: We wish we had better news, but there is no quick solution to this one. Clean energy technologies, continued investment in climate science, increased education and awareness, and strong regulatory frameworks are all essential to limit our carbon emissions. Locally, Montgomery County, DC, and Virginia have all committed to the Paris Climate Agreement, an international commitment to reduce greenhouse gas emissions and slow climate change. The good news is that the Potomac is healthier than it’s been in decades. Overall pollution levels are decreasing, fisheries are rebounding, and recreational opportunities along the river are growing. We’re on our way to a swimmable, fishable river, but we’re not in the clear. And we need you to help combat future threats — big and small. Make a difference in your community by taking a local action that will help return clean water to the Potomac! Plant a tree, restore a shoreline, or help us conserve vital land in the headwaters.